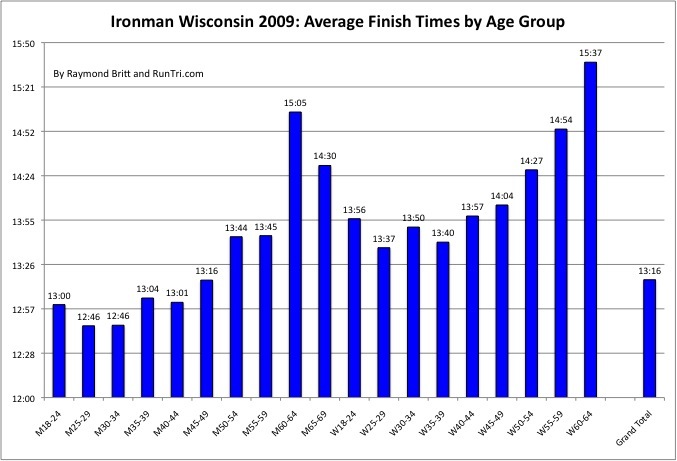 In both 2009 and 2010, the average finish time at Ironman Wisconsin of 13:16 earned RunTri's rank of Second most challenging Ironman race in the world. How hard is Ironman Wisconsin at the age group level? 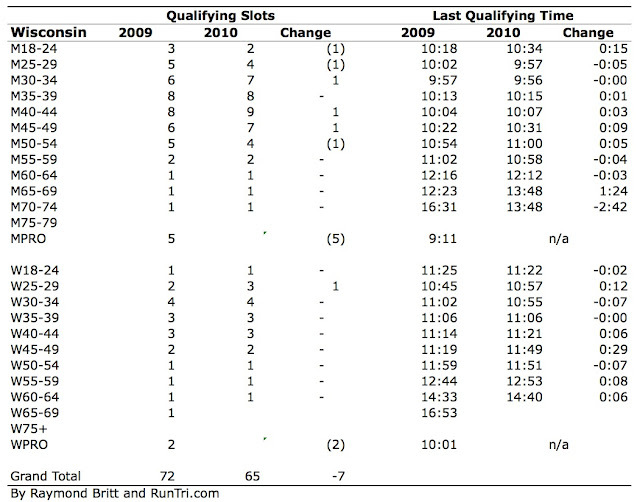 These charts lay out the average finish times for each. No matter which way you look at it, 2009 and 2010 were tough years on a tough course. 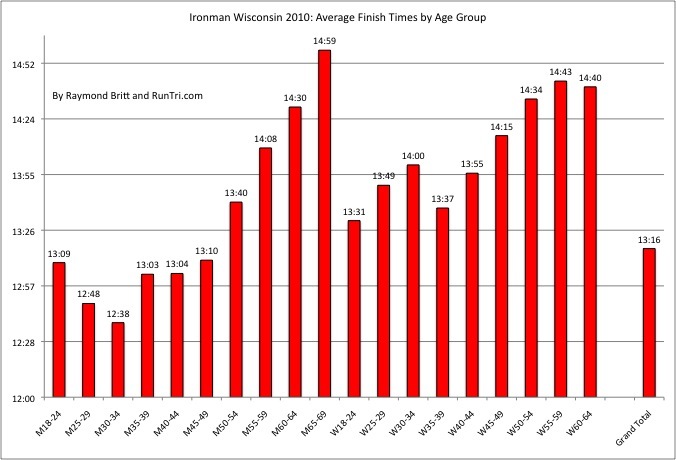 For more, visit our Complete Ironman Wisconsin Coverage.